Starting August 1, the Kentucky Division of Water (KDOW) is soliciting applications for $5,000 grants to be awarded to watershed projects in each of the state’s seven major river basins. “The purpose of the mini-grants is to engage groups interested in improving their water, with the hope that something relatively small can be the start of something big,” said Chad Von Gruenigen, a Basin Coordinator with KDOW. Awarded to South Marshall Middle School, the grant funding is being used to implement Best Management Practices, such as rain gardens and bioswales, which reduce runoff and limit erosion at the newly constructed middle school. Funds also are being used for a greenhouse that allow students to cultivate native plants for gardens on the school property and implement additional storm water practices at the school. Awarded both to the city of Bowling Green and to the Pennyrile RC&D. This grant enables Bowling Green to work with school groups throughout the city, educating them about storm water issues and ways to improve water quality. The grant also assists its growing Watershed Stream Side Field Day Events program and works to improve the conditions of Jennings Creek by restoring the habitat for native species. The Pennyrile RC&D grant funds education efforts to improve the public knowledge about the impact of nonpoint source pollution on the watershed. Its goal was to host two workshops to discuss maintenance of septic systems and the importance of livestock exclusion from streams. 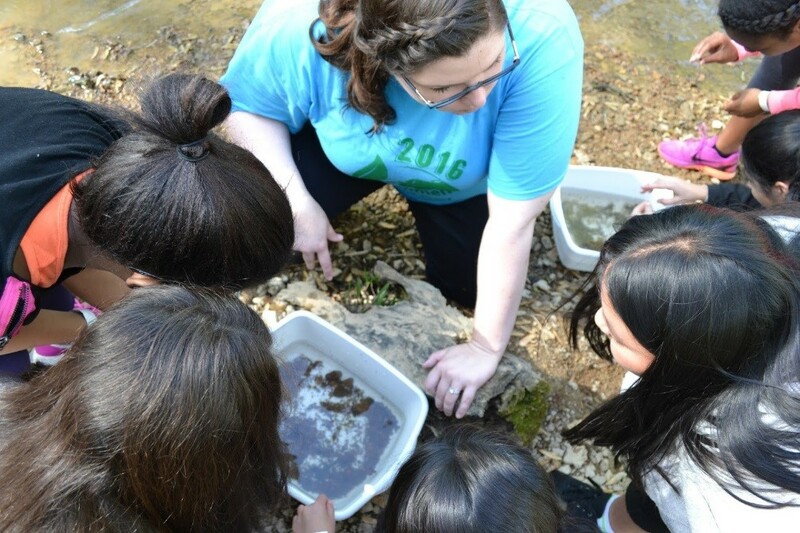 It will also be used to host field days for local schools at the Jeffers Bend Environmental Center in Hopkinsville, to educate students firsthand about watersheds and nonpoint source pollution. Awarded to Clark’s Run Environmental and Educational Corporation (CREEC), the grant funds CREEC’s efforts to restore, protect and celebrate the historic waterway of Clark’s Run in Boyle County. The organization has worked to clear invasive vegetation along the creek and replant this riparian area with native trees and shrubs, as well as inform the local community about ways that they can improve and appreciate the stream. The grant provides funding for CREEC to install educational signage along the trail and to provide service opportunities for continuing bank revegetation as well as strengthening the effectiveness of CREEC’s activities and enhancing its web presence. Awarded to the Foundation for Ohio River Education (FORE), this grant has assists the organization in providing students from several Northern Kentucky elementary, middle and high schools with knowledge to better understand how pollutants travel from street to stream through storm and combined sewers. Education and Adventure Charters (River REACH) program and FORE’s River Research, is a floating classroom program that addresses a wide range of non-point source pollutions issues including storm water runoff, habitat degradation, erosion, nutrient pollution and bacterial contamination. Students at a FORE workshop. Awarded to the Salt River Watershed Watch (SRWW), the grant enables the Watershed Watch to train volunteers to collect water quality samples in the streams and rivers of the Salt and Ohio River Basins and to raise awareness of water issues across the state. As part of the grant award, SRWW will educate teachers and students about nonpoint source pollution issues in Beargrass Creek, provide training on how to collect and analyze water data, conduct educational field trips on and around Beargrass Creek and mentor student science fair projects with a watershed focus. Awarded to the Liberty Nature Center, whose mission is to enhance the lives of citizens by promoting wildlife conservation through environmental education, the grant funds the addition of the gutters on center buildings, installation of rain barrels a rain garden, and educational signage to teach visitors about stormwater runoff. By doing so, the center will conserve water, protect the nearby stream, educate and inspire its visitors. The application process for 2017 begins August 1 and runs through September 30, 2017. For more information go to the Watershed Mini-Grant website at http://water.ky.gov/watershed/Pages/Watershed-Mini-Grants.aspx or contact your local area Basin Coordinator.